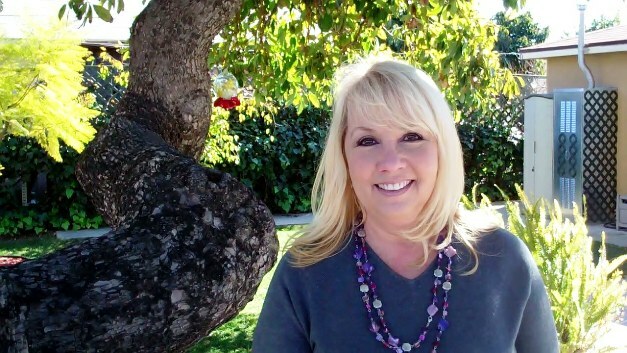 Legacy House owner Lynn enjoys the garden whose centerpiece is a mature avocado tree. Legacy House, a new residential care home for the elderly in La Verne, is so spotlessly clean that some of the arriving residents might think they’ve died and gone to heaven. Over the last year, owners Lynn and Ralph Chalifoux have turned an eyesore into eye-candy. Every inch of the former fixer-upper located at the corner of Third Street and Wheeler has been lovingly redone, restored and revitalized. Wainscoting lines the hallways, molding rims the ceiling, and pocket doors easily slide into the walls. New appliances gleam from every corner of the kitchen. But for now, it’s Lynn’s and Ralph’s mission to provide quality, compassionate care for residents, age 60 and over, who might require limited or around-the-clock retirement or dementia care. 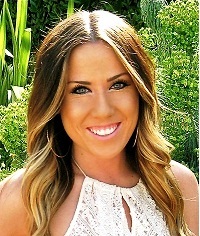 Lauren is another of the smiling faces you’ll meet at Legacy House. A few years back, however, Lynn and Ralph wondered they were doing the right thing when it came to their careers and legacy. “We sat down one Christmas and we asked ourselves what we wanted to do with the rest of our lives,” Lynn recalled. Their own aging parents, a tanking economy and an urge to gracefully bow out of the rat race also helped intensify their search for answers. Lynn had always liked nursing and caring for seniors. Indeed, when she was just 13, her first job was working at Hillcrest, a large retirement community in La Verne. So, at age 50, she bit the bullet and enrolled in Citrus’ nursing program to become a Certified Nursing Assistant. She took additional classes to become a certified Residential Care Facility for the Elderly (RCFE) administrator, a needed license so she could pursue her new dream of running her own residential care home. That was just the start. She and Ralph took their IRAs, invested in mutual funds, stocks and bonds, and put them in a self-directed IRA, which allows you to invest in real estate and other assets. They formed two limited liability companies and directed their real estate agent to go shopping for a home in the community that they could transform into a residential care facility. When the Third St. property, a one-time flip, came on the market, they bought it. The home’s four bedrooms, large backyard and spare room and bathroom off the garage were perfect. “We wanted something we could put our stamp on,” Lynn said. 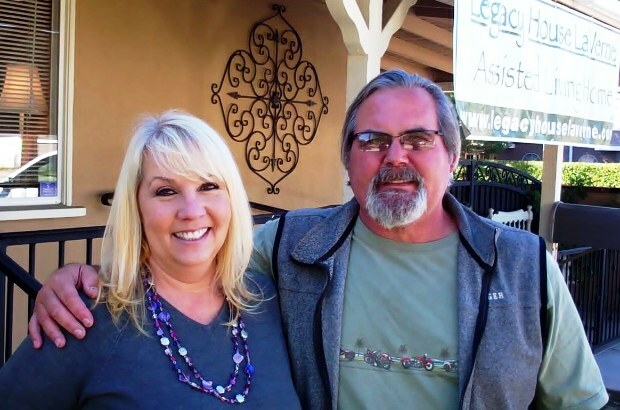 Lynn and Ralph have pour their souls, sweat and need to make a difference into Legacy House. Lynn and Ralph didn’t just build to code; they went well overboard, adding ramps and rails, wheelchair accessible bathing facilities and a kitchen fit for Wolfgang Puck. They were on a mission. “We were trying to give our residents as much independence as we possibly could,” Lynn said. Not long after opening its doors this fall, Legacy House’s very first resident was a hospice patient. With the kind of loving personal care that Legacy House provides, it should have no problem quickly filling up its six beds. In fact, many families choose RCFEs over skilled nursing facilities because of the homey atmosphere they provide. “Another distinct advantage of an RCFE is the higher staff-to-resident care, which allows more personal time with each resident,” Lynn said. At legacy house it’s one-to-six or two-to-six. Care is generally less expensive also because they don’t face the same large overhead of larger care facilities. Legacy House oozes intimacy. Over Lynn’s desk is a photo of her mother. Over the desk of her assistant, Lauren Hamm, is a picture of Laura’s grandparents. As part of the admission process, Lynn and Laura go over a long checklist with the resident’s family or conservator. It seems there’s nothing they don’t cover. Legacy House provides a full range of plans and services, from medication management and transportation for medical appointments to daily housekeeping and laundry (even their new sanitizing washing machines are new) services. But the deal winner just might be all those extras, including ice cream socials, family barbecues and holiday-inspired meals that evoke the feeling of family. There’s also that wonderful avocado tree out back ensuring a year-round supply of fresh guacamole. If you’re looking for residential care facility for you or your loved one that provides dignity, respect and all the touches of home, you can’t do better than Legacy House La Verne. For a free consultation, please call (909) 762.9986 or visit www.legacyhouselaverne.com. Congratulations on your beautiful Legacy House! It looks like a wonderful home! I ran into you, Ralph, at a yard sale, probably two years ago when you were talking about this. I’m so glad that it has worked out! Good luck to you!